The precious metals markets enter the week after experiencing a significant reversal last Friday, when one of the fastest price rallies of the year erased losses from earlier in the week. The rally's catalyst was news of Germany agreeing to lend directly from the European Central Bank's bailout fund (the ESM) to private banks - those on the verge of collapse. Commodities rallied sharply too, led by oil, which gained over $7 a barrel (9.4%), the fourth largest single day gain in history. For the week, gold gained $27/oz (+1.7%), closing at $1,601. Gold rallied nearly $50/oz on Friday alone. Silver, up $1.17 on Friday (nearly 4.5%), logged a weekly gain of $0.60/oz (+2.2%) and finished at $27.55. Platinum gained $13/oz to close at $1,454 (+0.09%). But despite having a strong day on Friday like the other metals, palladium was the outlier among precious metals for the week, posting a $26 loss (-4.2%) and closing at $587/oz. Last week's European Summit on the debt crisis was the 19th to date. Most of the prior summits also featured the participants declaring ultimate victory with markets celebrating. We'll be surprised if last week's euphoria lasts all that long. The European Stability Mechanism hasn't even been ratified in several nations, the German Supreme Court is reviewing the bailout fund's legality, and some of the bailout money needed from the fund must be provided by the very same insolvent nations that will be getting bailed out (don't worry, we're scratching our heads too). The bailout theater in Europe will continue indefinitely, because strong economic growth is a fantasy and austerity is politically untenable. As hopes for viable, sustainable solutions fail, expect the authorities to print money. And print BIG! Perhaps the precious metals markets are anticipating that the cash printing part of the "solution" is just around the corner. 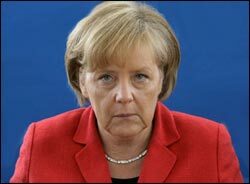 Germany's Chancellor Angela Merkel, a key decision maker in this whole euro saga, has been outspoken in her opposition to such bailout moves. But she gave a little ground at last week's summit. Last month, the U.S. Federal Reserve, FDIC, and Treasury Department quietly issued a document updating regulations governing bank reserves. The document contained a bombshell almost no one is talking about. Regulators proposed granting physical gold bullion the same "no risk" weighting as cash and U.S. Treasuries. This is the actual language from the memo: " In this NPR (notices of proposed rulemaking), the agencies propose to apply the following risk weights for exposures... 1) A zero percent risk weight to cash owned and held in all of a banking organization's offices or in transit; gold bullion held in the banking organization's own vaults, or held in another depository institution's vaults on an allocated basis..."
Banks are currently assessed a 50% penalty on the value of gold holdings when calculating reserves. This provides a significant incentive for banks to limit gold holdings and instead hold their reserves in cash, U.S. Treasuries, and the government bonds issued by a few other developed nations such as the UK and Germany. 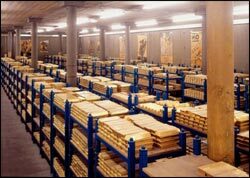 Of course, in our view, gold bullion is an asset totally devoid of counter-party risks experienced by the other "no risk" assets. But even if regulators won't acknowledge the supremacy of gold, they are at least considering leveling the playing field so banks can decide for themselves what the relative risks are. Banks will, in all likelihood, aggressively add gold to their reserve mix should the new rule take effect. This sea change in how gold is viewed within the banking system could be the most bullish development for gold in years. It would represent a major advance in the re-monetization of gold. The Federal Reserve wants controlled devaluation of the dollar in order to reduce the burden of debt and entitlements denominated in dollars. Private banks are stuffed to the gills with the current roster of "zero-risk" reserve assets and are finding them to be anything but "zero-risk." Inflation is constantly eroding the value of the cash and Treasuries are looking more and more like an asset bubble ready to pop, so gold looks especially attractive as an alternative. The rule should take effect in January 2013 barring any unforeseen opposition. 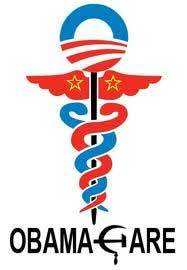 The Supreme Court ruled that the Affordable Care Act (aka "Obamacare") is allowable under authority granted by the constitution for Congress to levy a tax. There are plenty of people shocked by the decision. Requiring an individual to buy health insurance from private providers seemed like a pretty brazen step – well outside the defined taxing powers granted to Congress by the Constitution. On reflection, the ruling simply provides more certainty that the federal government is incapable of reforming itself. Our overlords will continue to promise solutions to every problem and borrow and print money to pay for it all. At least until a currency crisis imposes the restraint they are unwilling to impose on themselves.